Retail West, Western Canada’s largest retail conference, discusses new twists to the most pressing concerns and opportunities facing retailers in Canada. 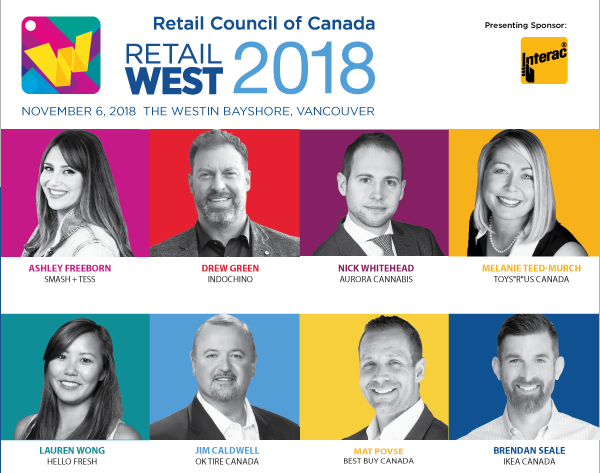 On November 6, 2018, 300 of Canada’s most innovative retailers and their vendors will meet at Retail West in Vancouver, a full-day conference organized by Retail Council of Canada, to share perspectives and learnings on the latest trends and developments and discuss what it takes to create outstanding customer experiences in modern retail. Kicking-off the day will be an overview on USMCA (United States-Mexico-Canada Agreement) and what it means for retailers in Canada, presented by Retail Council of Canada’s President and CEO Diane J. Brisebois. Also new for the retail marketplace this year will be the impact of legal cannabis. Retail West has several sessions that will bring together licensed cannabis producers, wholesalers, retailers and legal experts to inform and to open doors in this new market. 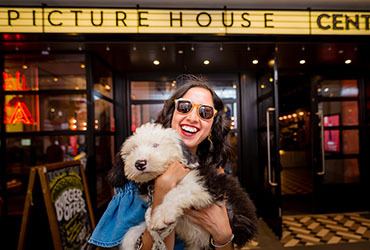 The rest of the Retail West 2018 conference will be dedicated to examining and learning from leading retailers and understanding why they are doing exceptionally well. Nick Whitehead, Vice President of Market Development, Aurora Cannabis Inc.
Mike Vioncek, CEO, Fire & Flower Inc. While there are some common themes – the critical importance of brand in today’s digital world, understanding the ever-evolving wants and needs of the consumer, and staying competitive through constantly changing new and emerging technology – each presenter has been carefully selected because of the novel and highly successful strategies his or her company has explored and applied in their business or retail practice. The conference is open to both Retail Council of Canada members and non-members.